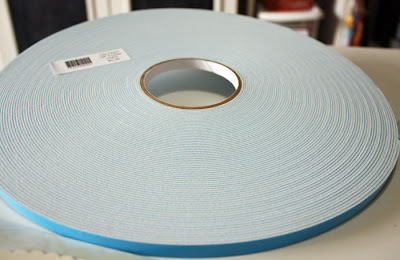 of foam tape!! I went scrapbook shopping this past Saturday and found this great deal at one of my local stores. 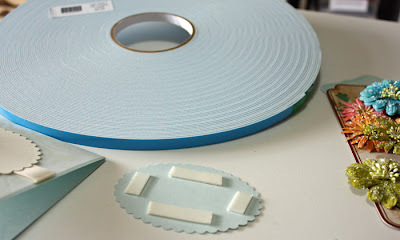 It's a huge round "wheel" of foamie dimensional tape and best of all, it's the same width as the kind I always buy from Stampin' Up. I thought it was a pretty good deal for $9.99. Today, I thought I would try it out on my "Congratulations" card - as you can see below. It worked like a charm...now I'm off to make something else.